NEW YORK, March 20, 2019 /PRNewswire/ -- Paramount concerns about the health threats posed by the harmful effects of chemical-based food preservatives have been growing in the food and beverage industry. As a result, consumers are rapidly shifting towards natural food preservatives and altogether avoiding the usage of synthetic preservatives. With increased emphasis on the adoption of clean-label products, demand for the natural food preservatives has been substantially rising, owing to their extensive usage in the product formulations. 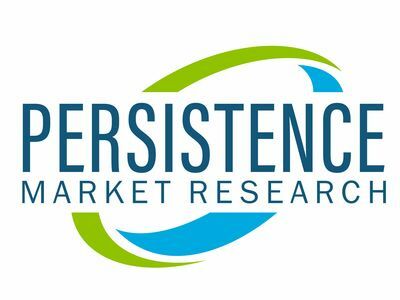 This is expected to favorably influence the size of the global natural food preservatives market with a notable CAGR of over 5% through 2028, finds Persistence Market Research (PMR). Growing health concerns among the customers have hard pressed the governments of several countries, who, in turn, have imposed stringent regulations on the use of synthetic food preservatives and propagated adoption of natural food preservatives. This is yet another strong propeller for the growth of the global natural food preservatives market. Neoteric technologies such as High Pressure Processing and Pulsed Electric Field incorporated for the food preservation are rapidly penetrating into the natural food preservatives market. A leading player of the global natural food preservatives market recently developed flavonoids by genetically modifying yeast. These flavonoids when utilized to treat fruit juices and meat exhibit a retard in the food spoilage. A cohort of these trends and recent developments are estimated to draw a linear growth of the natural food preservatives market. An interesting insight culled from the report states that the challenges prevalent in the market could limit the future growth prospects of the global natural food preservatives. Elevated price of the natural food preservatives as compared to the synthetic food preservatives have been a barrier to the sustained growth of the natural food preservatives market. Additionally, the mid-sized and small-sized manufacturers of natural food preservatives have restricted the production of these preservatives, on the back of the unaffordable manufacturing costs. Traditionally incorporated processes to enhance the food shelf life by leveraging the preservatives derived from plants are gradually turning obsolete. Constantly fluctuating prices of raw materials such as vegetables, plants, and fruits have a visible impact on the growth of the global natural food preservatives market. A host of these factors could challenge the growth of the natural food preservatives market. According to the report on the global natural food preservatives market, the key players competing to maintain a strong foothold on the regional and global natural food preservatives market include E.I du Pont de Nemours, Dumoco Co. Ltd., Chr. Hansen Holding A/S, Chihon Biotechnology Co., Ltd., Merck KGaA, Wiley Organics, Inc. (Organic Technologies), Kemin Industries, Inc., ARJUNA NATURAL LTD., Koninklijke DSM N.V., MAYASAN Food Industries A.S., Archer Daniels Midland Company, Cayman Chemical Company, Inc., Kerry Group Plc, Siveele B.V., Naturex SA, Kalsec Inc., BTSA Biotechnologies Aplicadas, S.L., Zhengzhou Bianafo Bioengineering Co., Ltd., Handary S.A., Galactic S.A., Biosecur Lab, ITA FOOD IMPROVERS, Prasan Solutions, and Shangdong Freda Pharmaceutical Group Co., Ltd., among others.